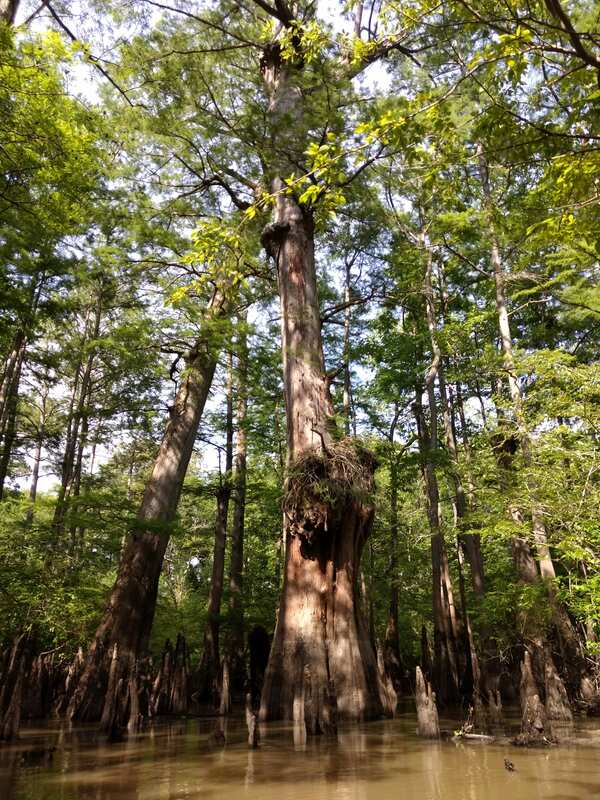 Millennium-old bald cypress trees have been used to develop a 1,614-year reconstruciton of the June Palmer drought severity index for North Carolina. This proxy paleoclimatic record indicates that the growing season climate of North Carolina has undergone many changes between significantly different regimes of drought and wetness that persist fro approximately 30 years. Alternating wet and dry regimes were particularly well developed during the Medieval Warm Epoch (A.D. 1000 to 1300). The record June droughts in 1985 and 1986 and the preceding three decades of much wetter than average conditions both appear to have been rare climatic events, equaled only five times each since A.D. 372.